​ The Romance has always been something that has caught my eye whenever i have a choice to pick a book. As the name suggests the book is about romance and the writer makes it so much worth reading. The story revolves around Akash and Kasam and takes you through their highs and lows of the relationships. The writer narrates it beautifully taking the reader in flash backs and in present times from time to time. This way she is successful in catching the emotions of the characters in their teens and in their adulthood. The best part is the way she relates and weaves those emotions from different times together. 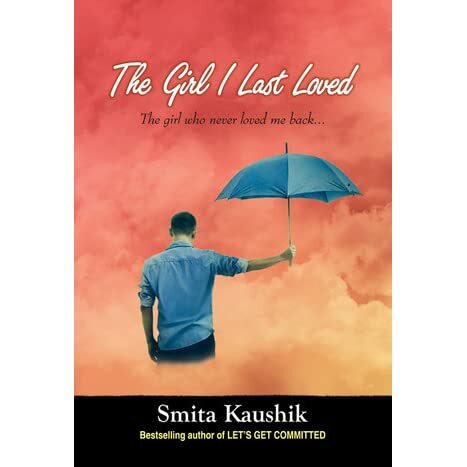 Smita uses the poetry beautifully to portray the emotions in the book. The other characters like the parents of kasam and Akash have been given adequate weightage. The storyline is simple and interesting. The writer has done an excellent job of portraying the emotions. The story talks about Akash falling in love with Kasam in teen age. He is not able to materialise his relations as a teen and then bumps into her when he is a successful man. They go through separation again due to an emotional turmoil that they go through. The narration actually differentiates a good writer from the average. This is so evident in this book. The narration of Smita with just enough characters in the book makes an ordinary story worth a read. The narration keeps in mind the everyday lingo that we use. The other character like ved is like friend everyone has. To explore the talent of the master storyteller you need to read this book. The positives of the story are the characters easily identifiable. Even though the narration is again easy to read and allows us to easily go through the entire story, the story sways through various emotions and makes the readers feel along with it. And the author gracefully weaves the character throughout the story. Like these lines, she keeps the storyline entirely simple, yet elegantly intersperses it with rich emotions. Although the narration of the story is good but in my opinion, the character of Divya and the relationship with Akash could have been explored in detail. Even Ved looks a little underplayed. Overall if asked I would say this is not a fair job done by the author, the book is interesting and a fast read. The writer makes an ordinary storyline interesting with her narration abilities. I would give 4 stars to this book. Questionnaire with author "Shalabh Bansal"